October is flying by at light speed for me which means that the holiday season is about to go into full swing. It is also the perfect time to start planning for how you’ll celebrate Christmas with your family. Six Sister’s Stuff is at the read with their new book 12 Days of Christmas with Six Sister’s Stuff which I was blessed to receive for a review. 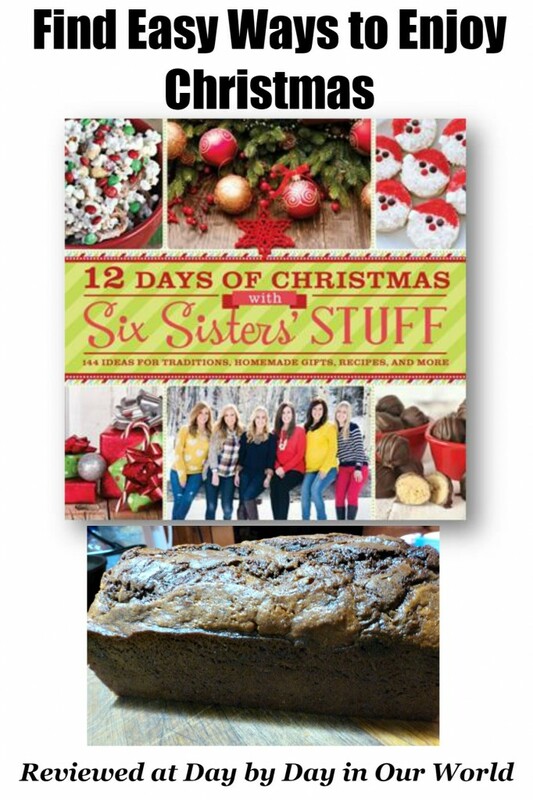 New for the holidays, 12 Days of Christmas with Six Sisters’ STUFF ($19.99 retail) mixes memoir and lifestyle into a creative cookbook, showing how food communicates love and is a way to connect and share family traditions. The authors are the bloggers behind SixSistersStuff.com which has 3.2 million unique visitors each month, connecting with a wide spectrum of readers who relate to the sisters, each at a different stage of their lives from college-bound to raising active families. 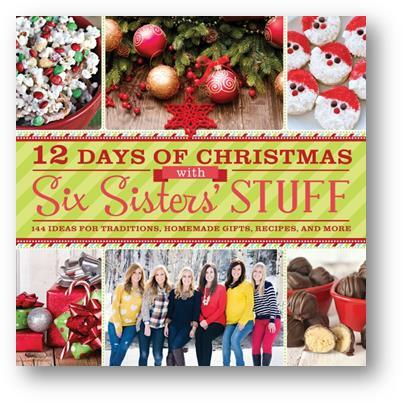 In this book the Six Sisters share their stories and expertise for making a memorable holiday season with practical tips, delicious recipes and great ideas as we share with them and their families the traditions and joys of Christmas. 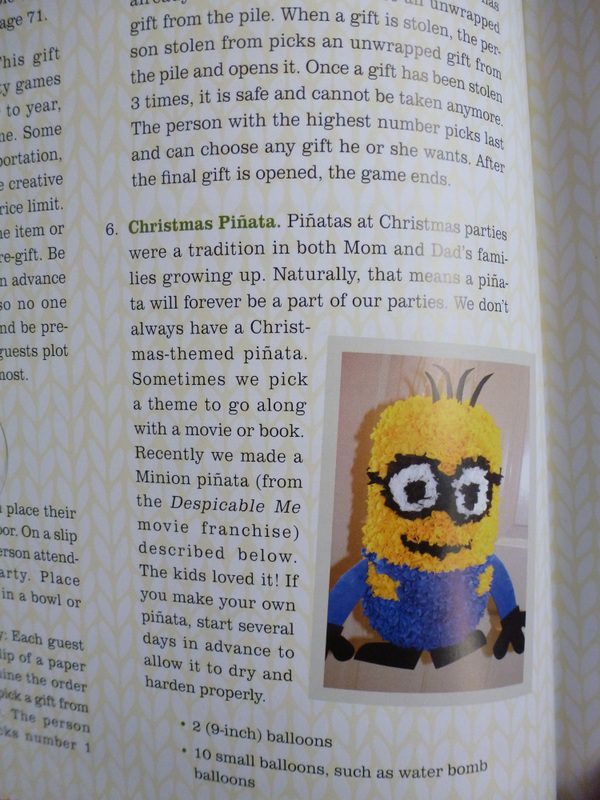 Includes recipes, projects, and ideas along with full-color photographs and easy-to-follow instructions. About the Sisters: The Six Sisters, Camille, Kristen, Elyse, Stephanie, Lauren, and Kendra, started their blog in 2011 to keep in touch after they moved out of their house and started lives and families on their own and in just a few years it has become one of the top blog sites for women with millions of visitors each month, sharing stories of family, recipes and tips for running a home. The sisters live in the Southwest and Midwest. Okay, that’s not quite enough ‘meat’ to do this title justice. However, that’s how I feel about this book. The suggestions are easy to implement. Some are things I’ve done in the past and others are things I’ve considered but often forget to do. I am seriously contemplating how I can do a 12 Days of Christmas gift for my husband or the boys to help ‘string out’ the celebration for the season with little gifts rather than going crazy on ONE day. 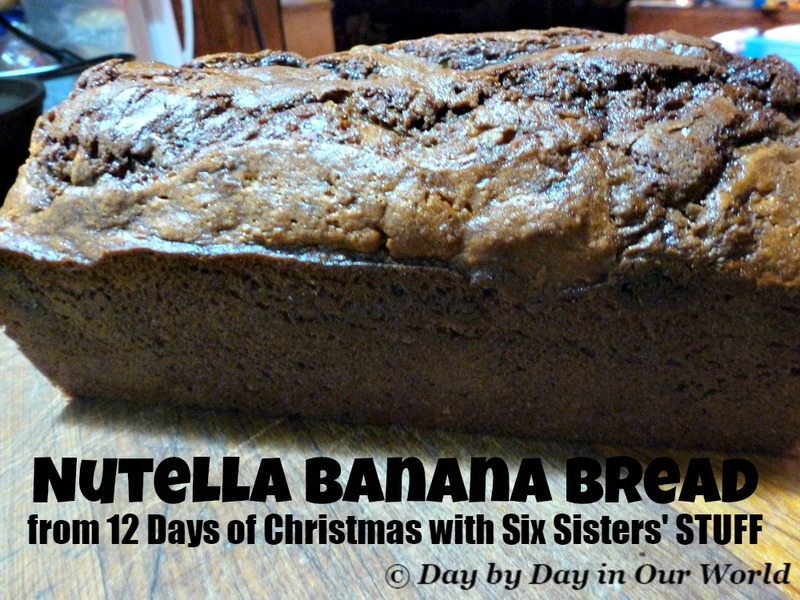 Check out how to make Nutella Banana Bread. Just enter here by October 16th for your chance to win one of four SIGNED copies of the book. What does your family do to celebrate Christmas? Do you love to find ‘new to you’ ideas for helping make memories with the family? I am making the exact same recipe now for my review... lol.. great minds think Nutella!! :-) Great review! Good luck to the entrants!